Commercial real estate interests push to establish Short Term Rental Ordinance in Monterey County. Board of Supervisors passes Short Term Rental Ordinance for all unincorporated areas of Monterey County by a vote of 3-2, in the face of nearly unanimous opposition within the neighborhoods most affected. Require Coastal Commission review of STRO. 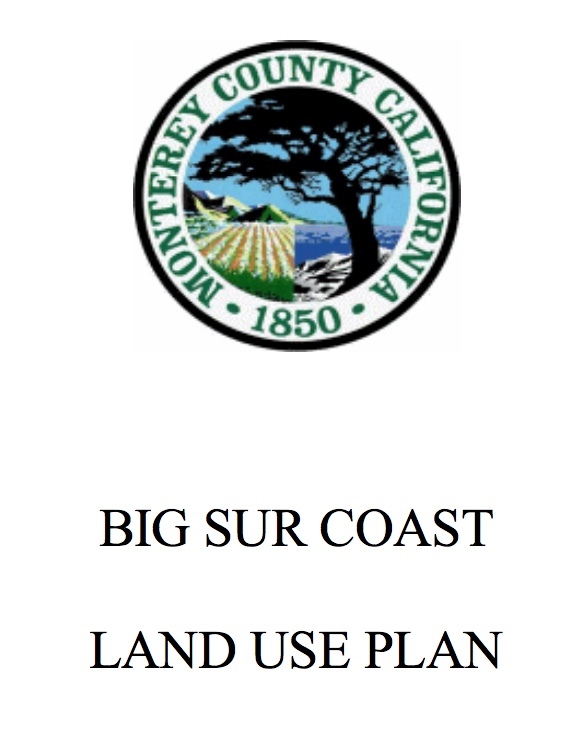 Based on negative impacts of STRO on public safety, housing and community*, CoastWatch and other members of the community request exclusion of Big Sur Planning Area from the Ordinance. County gives CoastWatch a “tolling agreement,” a legal instrument which keeps STRO from going into effect in coastal zone of County until Big Sur issue is resolved. CoastWatch approaches local commercial interests to resolve issue. Commission returns STRO to County to resolve. Meeting of Coastal Commission staff Rick Hyman, Supervisor Potter, Arden Handshy (for local commercial interests), real estate industry lawyer Randy Meinenberg (who had pushed Ordinance through in face of overwhelming community opposition), County Planning head Bill Phillips, and Tim Green, CoastWatch. Meinenberg’s position to exclude Big Sur from STRO so that implementation in rest of County can proceed, is accepted and agreed to by all parties. Language of exclusion to be hammered out by CoastWatch, Handshy and Meinenberg. Meinenberg to take around to Supervisors for approval. Exclusion of Big Sur from STRO announced and widely applauded at Multi-Agency Council meeting. CoastWatch sends “Evidence and Findings re:Short Term Rental Ordinance in the Big Sur Planning Area” to Handshy and Meinenberg for comments, discussion, additions. Handshy agrees to Evidence and Findings. Need to complete exclusion process made clear by plans brought before Chamber of Commerce to do short term rentals in Big Sur. Meinenberg agrees to “Evidence and Findings,” but leaves the implementation of Big Sur’s exclusion to the community. * See materials attached for speciﬁcs.